I believe that Napoleon III’s son was killed in active service in the British Army during the Zulu wars – so maybe it wouldn’t be that surprising. Incidentally there was an article on BBC Radio 4 this morning about the battle of Copenhagen. Apparently the British were working on intelligence that Napoleon had planted, and he never intended to actually seize the Danish fleet after all. I don’t know if this is news to historians, but it is certainly news to me. Can I just apologise to the Danes on behalf of Nelson and my fellow countrymen. We are really sorry for sinking your fleet and flattening your capital city. It was all a misunderstanding after all. Theres an old film called “Kind Hearts and Coronets” where the lead character kills his way to the Dukedom. He got caught, and he only had about 9-12 to knock-off. So I reckon after about the first 1000 deaths people might get suspicious! Did you guys see this week’s Economist cover? It isn’t just the Economist. I was in Paris earlier this week and had dinner with a business associate. 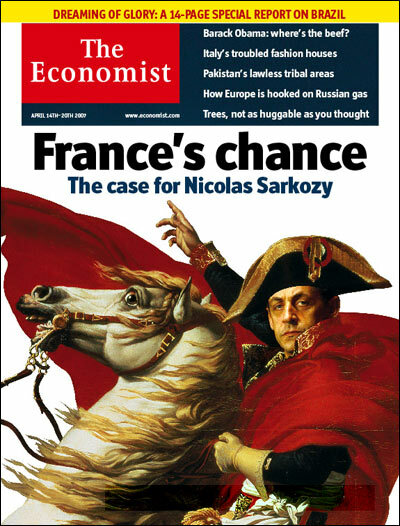 He came out with the suggestion that Sarkosy might be the next Napoleon. He seemed quite dissappointed when I said that I hoped not! Napoleon VII is a distant cousin of Oakland resident Herbert Benton Connor. Both are descendants of Napoleon Bonaparte through his father Carlo.